The 2017 motor racing season officially opens with the first International Drags scheduled for 19-21 May, at the Pearls International Speedway, St Andrew. This information was shared by the Grenada Motor Club (GMC), as it held its media launch on 26 April at the Excel Plaza, Grand Anse. Other new elements to the May event are the addition of a soca concert to be held on Saturday at close of racing, and a VIP section on Sunday. In his address, GMC PRO Ian DaBreo highlighted that the sport is enjoying continued growth in Grenada. “We are working hard at developing International Drags into a major annual event for Grenada’s Sports Tourism sector. We have seen significant growth in racing visitors and their entourages, in tandem with an ever-growing interest in our beautiful island, with the events generating over a quarter of a million dollars spent in the country”. Barbados Sporting News reporter, Trevor Thorpe, was pleased to include a radio broadcast interview with Ian DaBreo in the Barbados news and promised to attend the May event, giving a helping hand in spreading news of Grenada’s events into the region. The GMC took the opportunity to emphasise their strong safety message to the driving population — ‘Drive on the Road, Race on the Track.’ They encouraged all in attendance to ‘keep it clean’, and assist the GMC, by taking personal responsibility for their garbage and making proper use of bags and receptacles provided during the event. 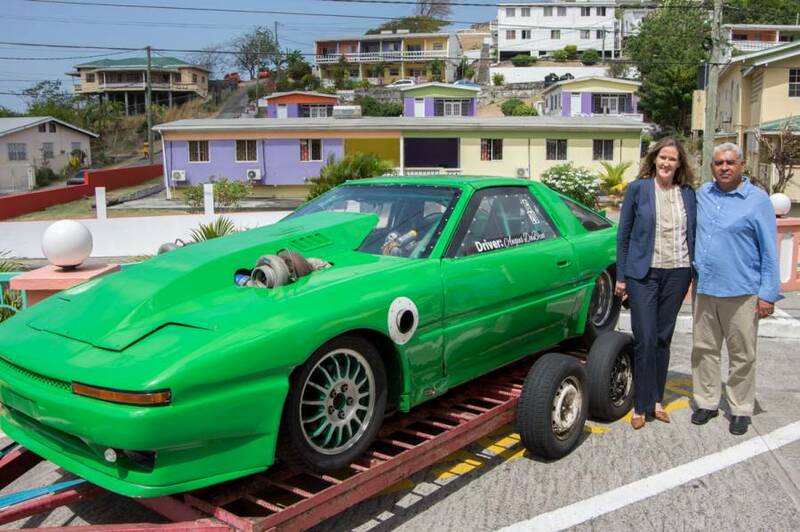 The GMC encouraged the Grenadian public to come out in their usual numbers, acknowledging that their support has been invaluable to the survival and growth of motor-racing in the tri-island state.